Listen to the Cii interview with Kaashifa Jamal about the Songs for Syria campaign. Listen to the Radio Al-Ansaar interview with Sauda on the Baby Project. No matter how big or small, making a difference in someone’s life is always a great act in the eyes of Allah. 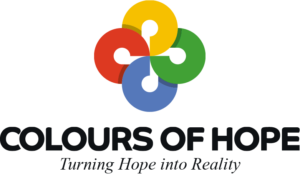 At Colours of Hope we have make a simple avenue for people who would like to be part of making a difference. Simple click on the button below to make a contribution. Thank You.